The ideal way to explore New England in the summer is definitely by boat. 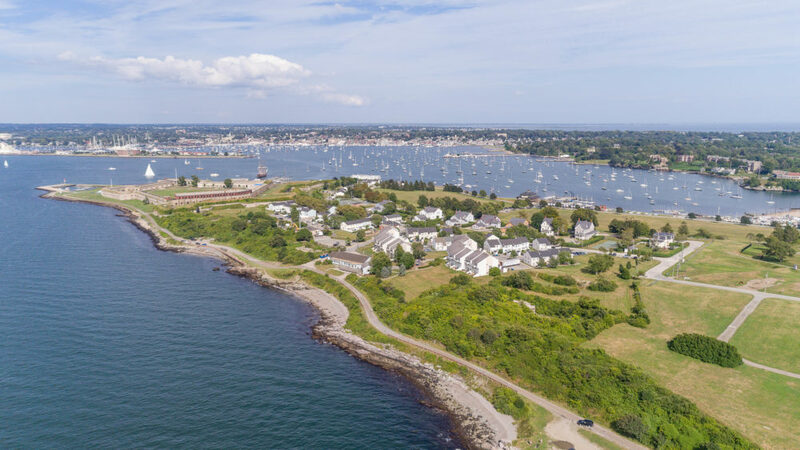 You have the ability to explore beautiful harbors and towns yet escape the crowds that so often flock to these areas during the warmer months. Whenever you feel like it, simply escape the crowds and heat by setting off for an isolated anchorage, where you can leave at peace. Newport is world famous as a yachting destination. Some know her as the city that hosted The America’s Cup, while others know her as a protected harbor with plenty of nightlife and delicious provisioning. 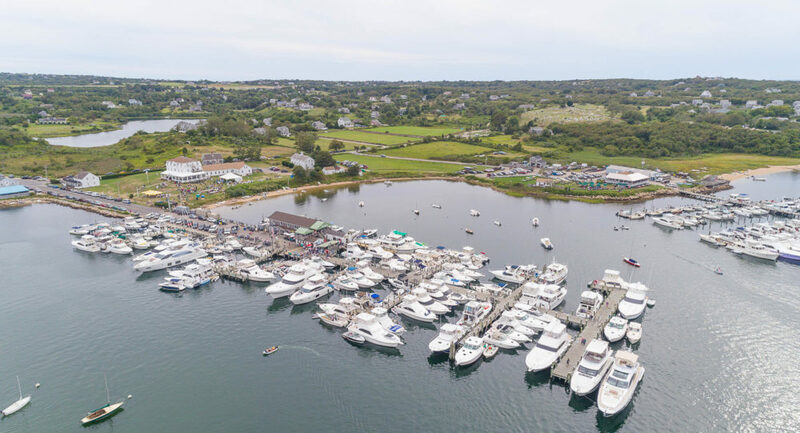 Newport is a great jumping off point for cruising to Block Island, the Elizabeth Islands, Martha’s Vineyard, Nantucket, and other New England harbors. All of these places are just a day sail away, and depending on the point of wind, you can make sure that the sail (or motor) is a comfortable one for everyone onboard. Newport is a great city to walk around and take in the history of the place. 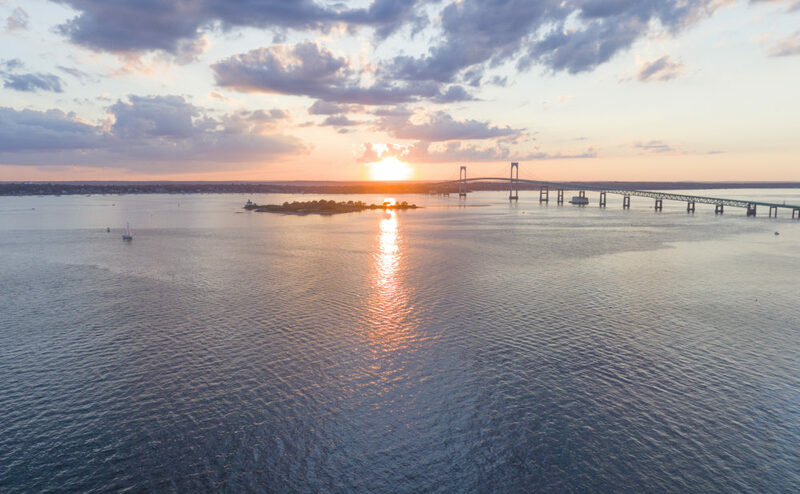 From the Loeb Visitor Center where you can learn about the day-to-day living of one of the older Jewish communities in the U.S. to watching the sun set over Newport harbor at the Lobster Bar, there is plenty to do and see for all ages. And of course, there are the Newport Mansions. Rosecliff and Marble House are definite must-sees, while the Cliff Walk is a great way to get a little exercise and take in the mansions on one side and the surf on the other. Payne’s Dock and The Oar in the background on Block Island. Great Salt Pond is the main harbor here. It is fully protected on all sides. It is quite shallow in parts, so caution and a good guide are necessary if you are navigating this on your own. There are moorings, slips and a 75-acre anchorage available. Ashore, a visit to The Oar and Payne’s Dock are a must. There is nothing that tastes of summer quite like a rum punch while sitting outside, looking out at the harbor. You can walk into town, although it is a bit of a trek. Another option is taxis are generally standing by along the docks and it is a quick and painless ride into town. There, you will find quaint shops, a couple of decent places to eat and drink as well as the famous (or infamous depending on who you talk to) Ballard’s, which serves food, drinks and plenty of sights to behold. Many people come over for the day on the ferries from Montauk, New London, Newport, Point Judith and Fall River and party it up on the beachfront of Ballard’s. There isn’t any nightlife to be had on Cuttyhunk, but the town is fun and easy to walk around, and you can always pop into the Cuttyhunk Historical Society to learn about the island’s unique history dating back to the 1600s when Bartholomew Gosnold first visited. Vineyard Haven has a nice, protected harbor to pull in to on your way around the island. The Black Dog Tavern is a great restaurant to try. They offer brunch, wine tastings, and weekday dinner specials. The Gannon & Benjamin Marine Railway is a cool boatyard to check out. It is world famous for classic boat building and restoration. No one can really talk about cruising the New England coast without making mention of Nantucket. There are moorings and anchoring is also allowed in certain areas. There are, of course, dockage available too. The island is ideal for biking around, considering how flat it is. Sankaty Head, Great Point, and Brand Point Lighthouses are great to visit. There are also plenty of beaches like Madaket and Dionis.